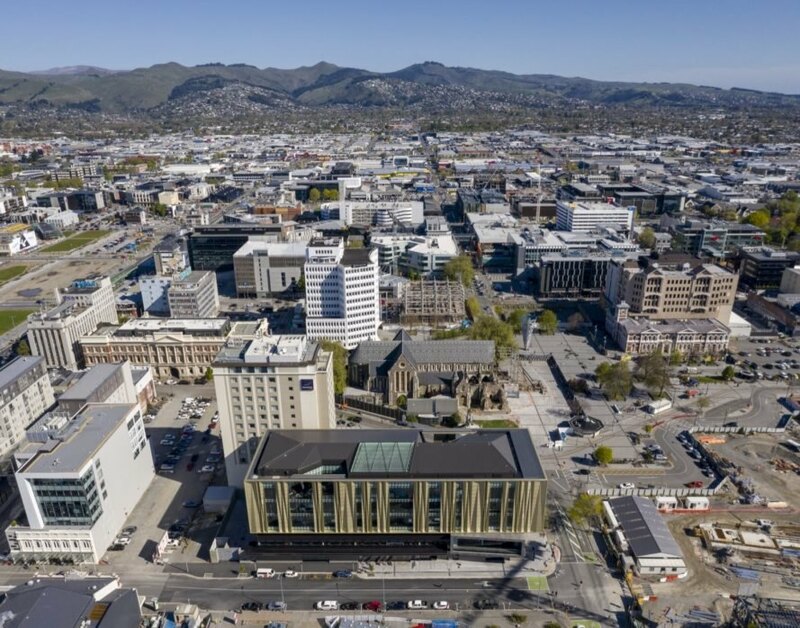 Nearly eight years after multiple massive earthquakes ravaged the New Zealand city of Christchurch, Schmidt Hammer Lassen Architects have completed the Christchurch Central Library, a “stunning symbol of hope, unity and rebirth” built on the concepts of resiliency and sustainability. Dubbed Tūranga — Māori for “foundation” — the earthquake-resistant building also pays homage to the deep cultural heritage of Ngāi Tūāhuriri, the local Māori people, through various artworks as well as with a striking gold facade inspired by the shape of the local harakeke flax. 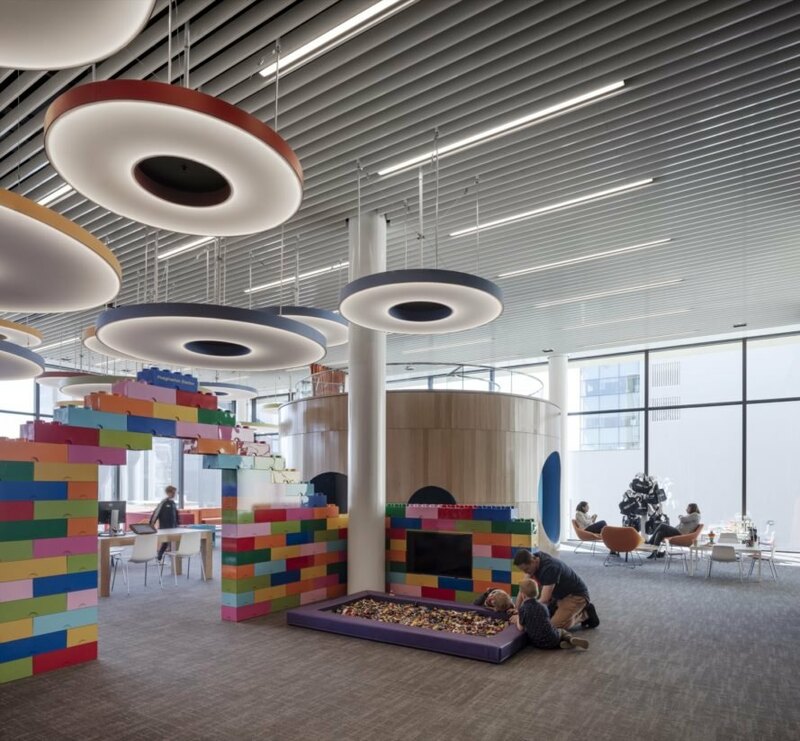 The $92 million library is one of several major public projects aimed at revitalizing the city. 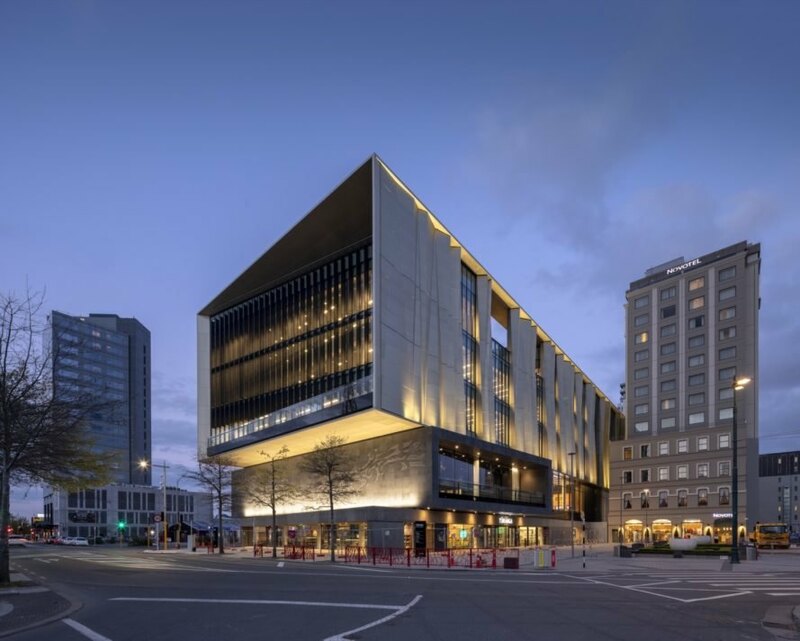 Located at Christchurch’s historic Cathedral Square, the Christchurch Central Library spans five stories across 9,500 square meters. To protect against potential earthquakes in the future, Lewis Bradford Consulting Engineers developed a seismic force-resisting system consisting of large-scale concrete walls connected to high tensile, pre-tensioned steel cables that allow the building to sway and then return to its original position. The self-centering mechanism means that the library will sustain minimal structural damage even during large earthquake events. 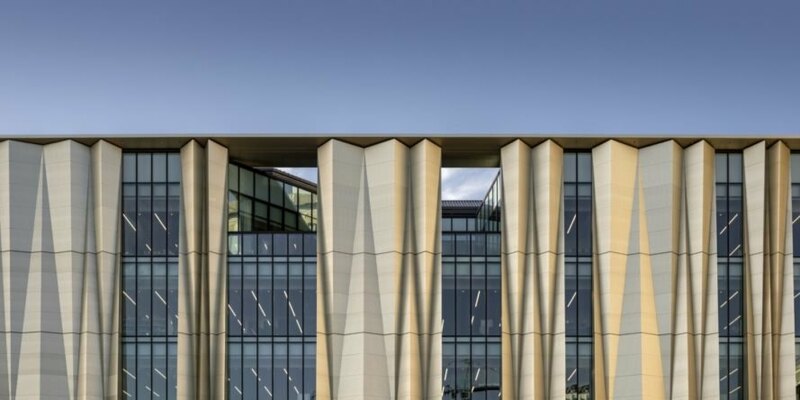 In addition to its earthquake-resistant properties, the building is modeled after the vernacular architecture of the Ngāi Tūāhuriri thanks to close collaboration with the Matapopore Charitable Trust. The organization helped weave the many Māori references into the library from the building materials to the various terraces oriented for views of significant Ngāi Tūāhuriri landmarks like Mount Grey and Hawaiki. 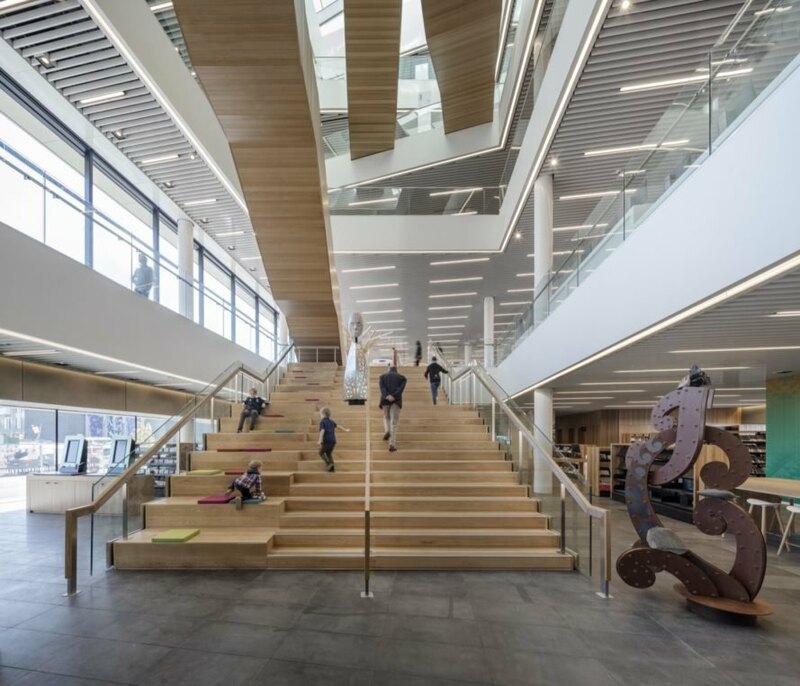 Schmidt Hammer Lassen drew on its extensive experience with library design to create an inviting and light-filled environment centered on a grand, staggered atrium that doubles as a social staircase and gathering space. 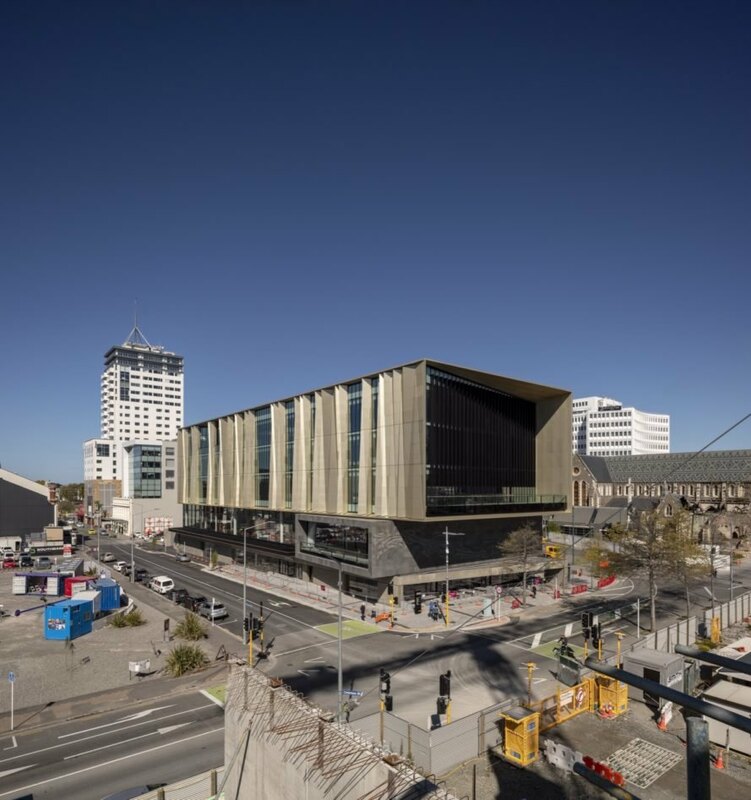 Schmidt Hammer Lassen Architects have completed an earthquake-resistant library in Christchurch, New Zealand. The city was hit with massive earthquakes in 2010 and 2011. The library exterior features a shimmering facade. The architects implemented many Māori references throughout the design. The library is one of many projects for revitalizing the city. There is plenty of space inside for learning and playing. Children can participate in hands-on learning. Students and adults can find quiet spaces for studying or reading. The design pays homage to the local vernacular. The five-story building spans 9,200 square meters. The project symbolizes the city's rebirth.